Keep your members engaged every step of the way. Finally, a software designed to help you from group training, personal training, in the studio and at home. Using the intuitive Visual Workout Builder feature, you can build custom workouts for classes and display them on screen, allowing members to follow the workout more easily. This exciting feature provides many of the benefits of having a second instructor in the class, helping to engage members during the workout and even allow members without a clear view of the instructor to easily follow along. 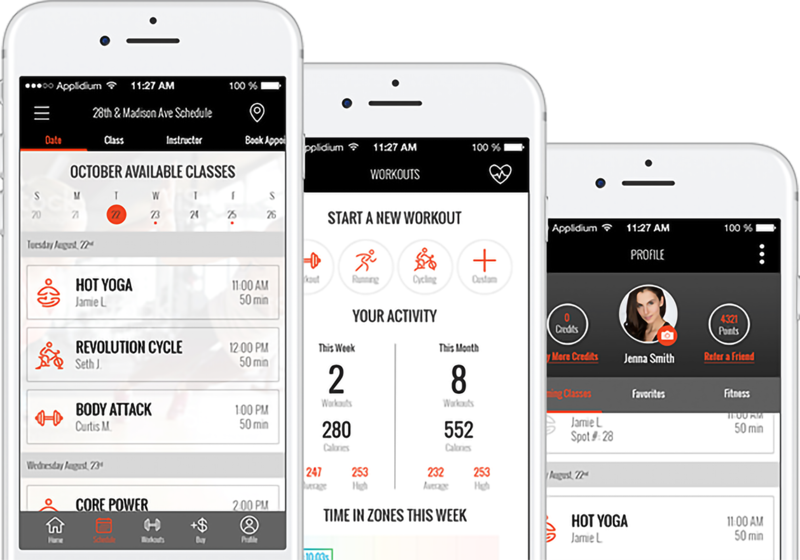 FitMetrix cutting edge technology gives your members real time tracking of their effort, whether in a class or working out on their own. Track heart rate, calories and effort points with completely customizable leader boards branded to your own club. Bring your cycling classes to life and create fun competition with real-time leaderboards, team challenges, sprints and more. Compatible with the most popular indoor bikes, the FitMetrix platform with its customizable screens and branded end-of-class summary email sets your cycling program apart! Create the first real time leaderboard for rowing classes. Track your members rank, split times, calories and challenge team with team competitions and sprints. FitMetrix has partnered with Concept2 to create the first real time leaderboard for rowing classes. 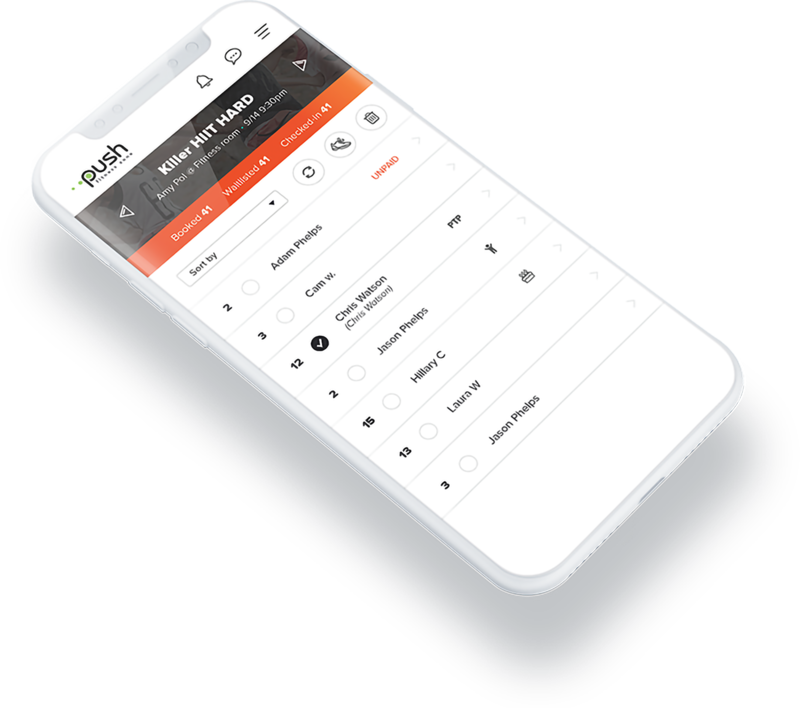 Track your members rank, split times, calories and challenge team with team competitions and sprints. 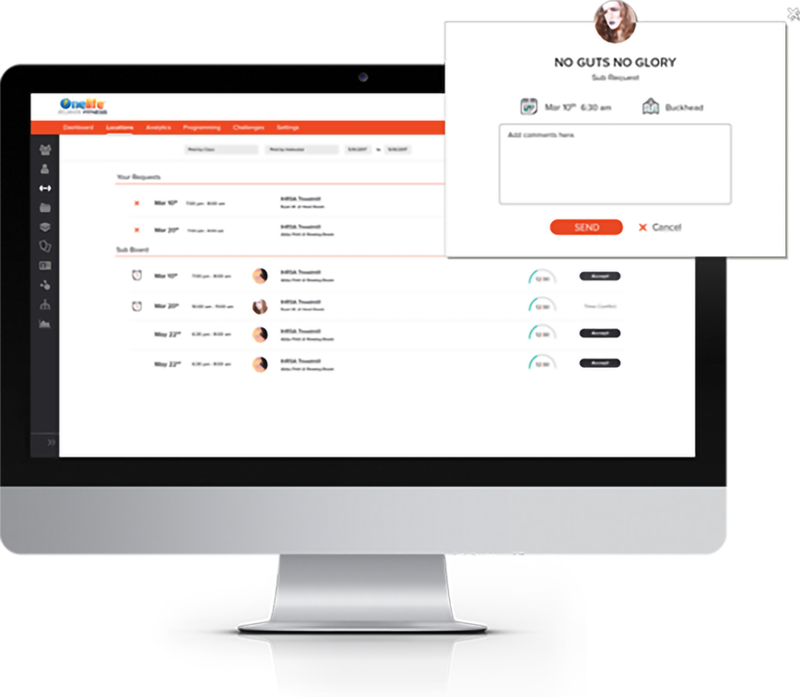 Seamlessly integrating with your current website and scheduling system, the member portal offers a powerful user interface for your members. Give your members the ability to review and track their performance, trend their data against others, and get rewarded for working out. Never have your customers leave your website again. Scheduling and pick a spot allows for easy class booking and spot selection. Drop in content pages into your website to create a fully branded experience for your customers. Provide your members with a truly engaging experience by notifying them of instructor substitutions for their classes, allowing them to provide instructor feedback after classes, sending them customized emails for birthdays and anniversaries, and giving them the ability to reserve spots from home or on the go. Life at the front desk is much easier with more streamlined tasks. Various solutions, such as self check-in to class to avoid lines, entering and saving credit card information for future purchases, and signing waivers electronically to avoid paper copies, can help provide members with the concierge service that puts your location above the competition. 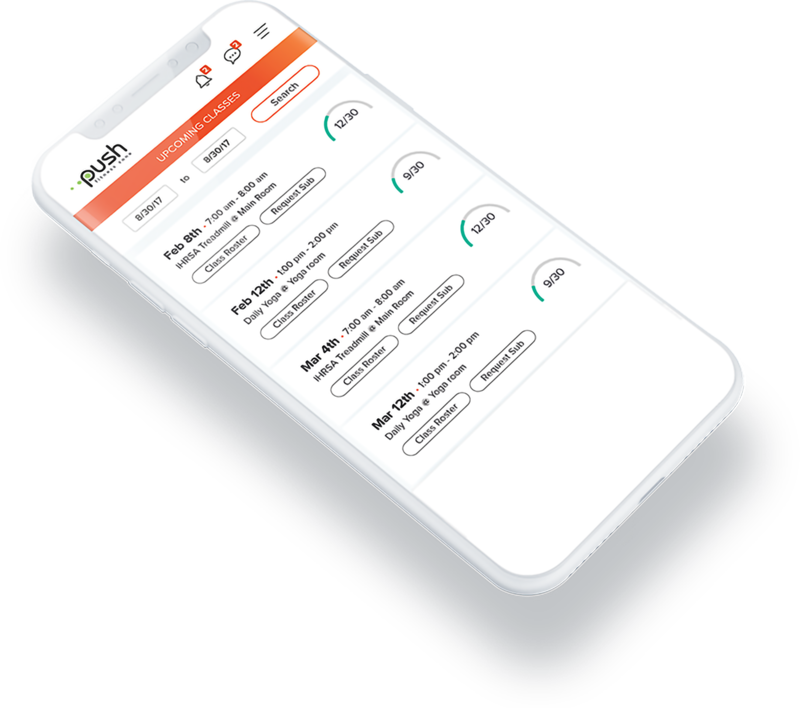 Give your employees another reason to love their job by offering quick access to updating their availability and time off, the ability to view class rosters and assigned spots, and the opportunity to easily request and accept substitutions for classes. Best of all, it's mobile friendly! Your trainers can now have a 360 view of their clients. From attendance records to fitness assessments, to messaging and direct emailing, we give your trainers the tools to keep their clients accountable, engaged and coming back week after week. Trainers can quickly view and schedule their sessions and assessments in one place. 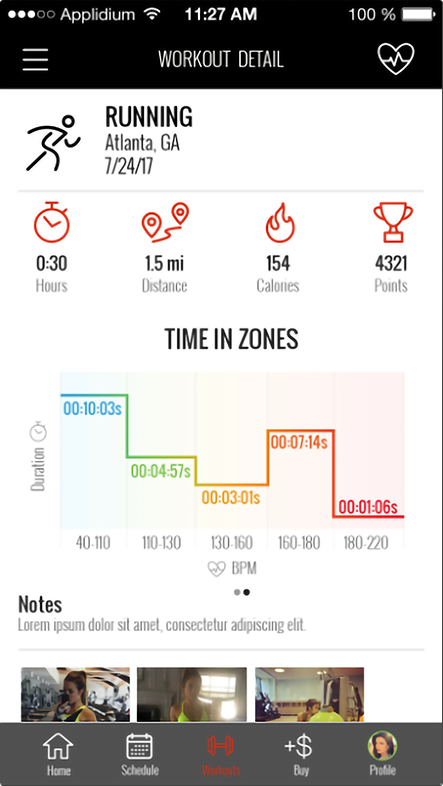 With the sleek dashboard your trainers have a view of their clients overall health and fitness. Trainers also have the ability to generate and email custom fitness reports. Perform, record, and trend clients' fitness tests and body measurements. Choose from a pre-loaded test library or create your own. Real Results From Real Clients.